Wyatt Pope, above, broke the Hurley High School Basketball team’s scoring record on Friday, January 25, during the game against Bradleyville. Pope scored 54 points during the game. 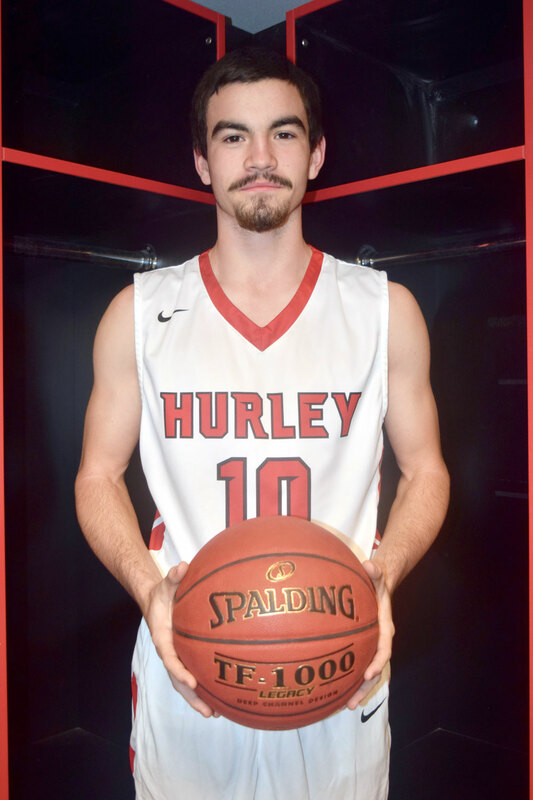 Wyatt Pope broke the Hurley school scoring record with 54 points in the game against Bradleyville on Friday, January 25, 2019. It was a quiet 54 points. He does a great job getting to the rim and finishing strong. He runs the court very well, shoots the ball efficiently and helps make his teammates better. ​On that night, Wyatt was 16/20 from two point range, 6/16 from three point range and 4/5 from the line. It was a great offensive performance. Daniel Cutbirth held the previous record of 51 points.